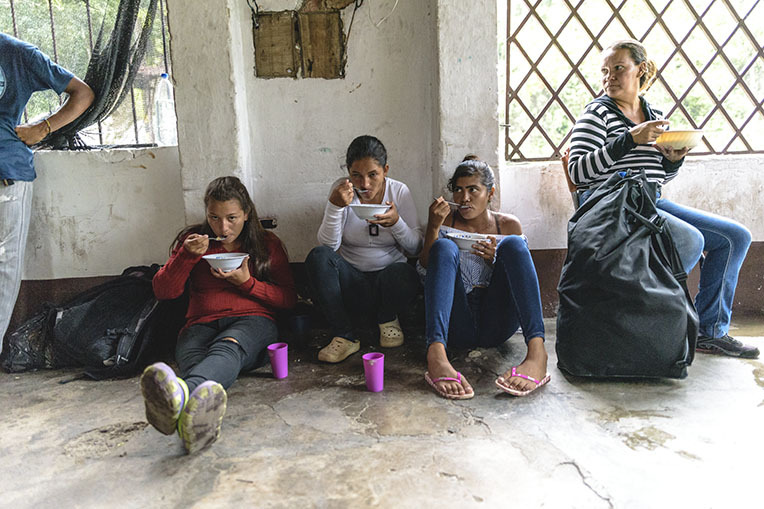 A Pastor’s family cares for those fleeing economic crisis—offering food, shelter, backpacks and the hope of the Gospel. One place they’re sure to find a smiling welcome, though, is in the small town of La Don Juana, about 18 miles outside of Cucuta, where Samaritan’s Purse operates a way station, or shelter. 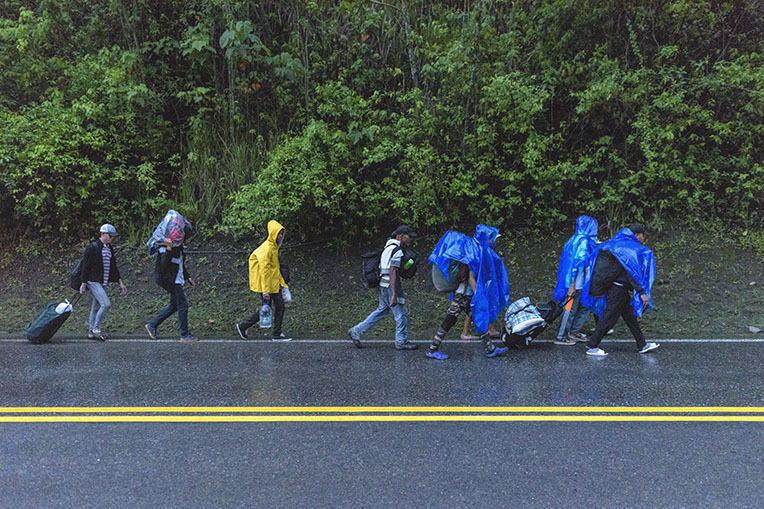 Close to 20,000 migrants passed through our facility in October and November, and the stream of walkers continues every day. 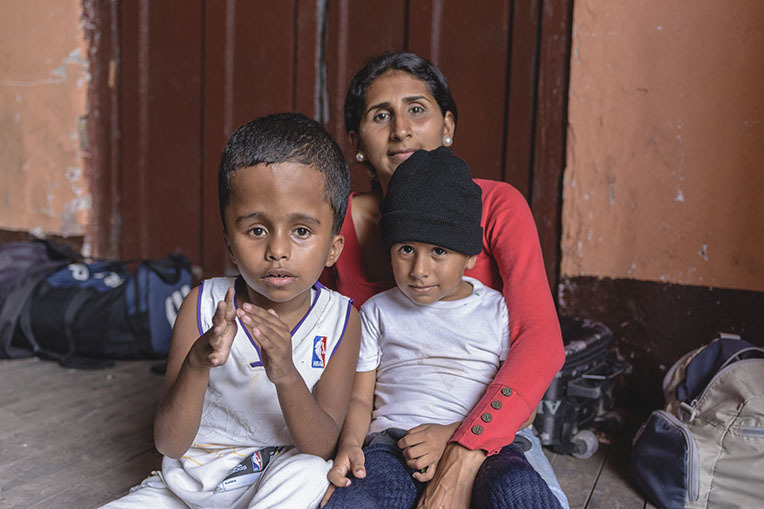 One traveler who stopped at our Colombia shelter this fall was 27-year-old Jorge from Valencia City in Venezuela. “I left because we had nothing to eat,” he said. Pastor Jesus Paez and his daughter Viviana are at the shelter serving migrants on a daily basis. Our shelter is open daily from about 4 a.m. to 10 p.m., sometimes midnight. Shelter Coordinator Viviana Paez serves hundreds of meals a day and often hosts more than 150 guests overnight. Travelers who arrive earlier in the day help prepare the meals for later. In the evening, Viviana’s father, Pastor Jesus Paez, shares a Biblical message to encourage the travelers on their journey and also calls them to respond to the Gospel. Some have turned to the Lord Jesus Christ in repentance and faith and been baptised in the river behind the shelter. A few migrants simply stop at the way station for a brief rest out of the sun, quickly moving on to their next destination. Others may take a shower, eat a hot meal (or two) and spend the night in the building, which once served as a train stop. Nearly 5,000 migrants have also received backpacks filled by Samaritan’s Purse with hygiene kits including toilet paper, a toothbrush, toothpaste, soap and hand wipes. Additionally, the packs had a hat, gloves, socks, a water bottle and a poncho. Women received additional hygiene items as well. Thousands of Samaritan’s Purse backpacks filled with clothing and hygiene items have been distributed at the shelter. 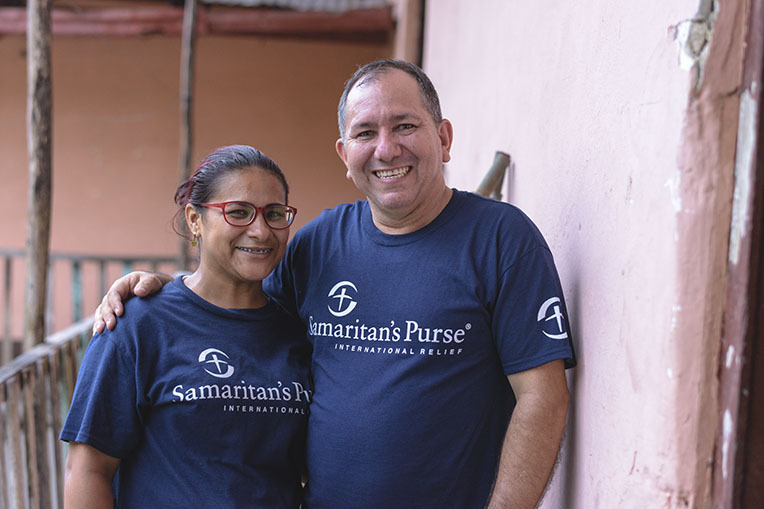 This Autumn, Samaritan’s Purse came alongside Viviana to begin improving the facility, underwriting the rent and purchasing the groceries.  Since that time, we’ve also installed new toilets and showers, repaired the roof and upgraded the kitchen and electrical system. An electro-chlorinator now provides clean water for visitors. Thousands of Samaritan’s Purse backpacks filled with clothing and hygiene items have been distributed.